How long do Comfort Zone with Feliway diffuser plug-ins last? Our customer Kit asked us this question recently and we thought everyone would like some insight (and a sale!). The manufacturer says the diffusers typically function well for 6 months and after that they should be replaced. However, we find this is far from typical! Our customers report that most of their Comfort Zone with Feliway diffuser plug-ins are still going after years of continued use. Personally, we have many of the same diffusers we installed over 10 years ago. You will notice on those older diffusers that residue collects on the white ball shaped portion. This is normal. It’s the oil which has migrated upwards. And it’s easy to clean off – remove the diffuser from the outlet and take a damp Q-tip to remove the oil and the dust which is clinging to it. If your Feliway refill bottles are running out in 4 weeks time then your diffuser is still working perfectly. If your refill bottles take longer than 4 weeks then it’s time to replace the diffusers. Norman Reedus is a new spokesperson for banning animal testing for cosmetics. 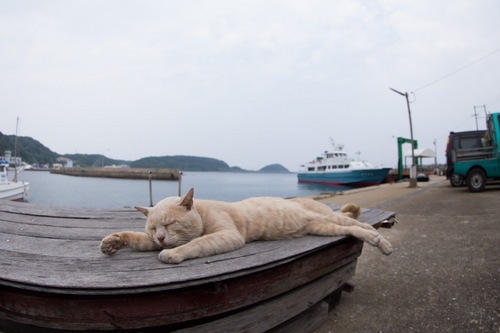 The cat in the photo is pretty cute too! Big news! 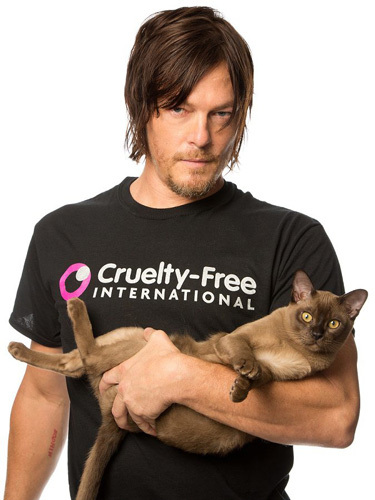 We just learned that “The Walking Dead” star Norman Reedus has joined Cruelty Free International to call for a ban on animal tests for cosmetics in the U.S. and around the world. cosmetics in the U.S.’ — at Photo by Leslie Hassler in New York City.